Super unique alternative style engagement. 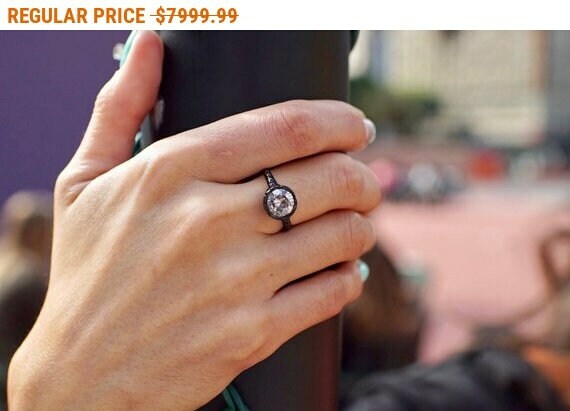 Can also be worn as a cocktail diamond ring. The center stone is a big 2.25 carat gray colored natural diamond. 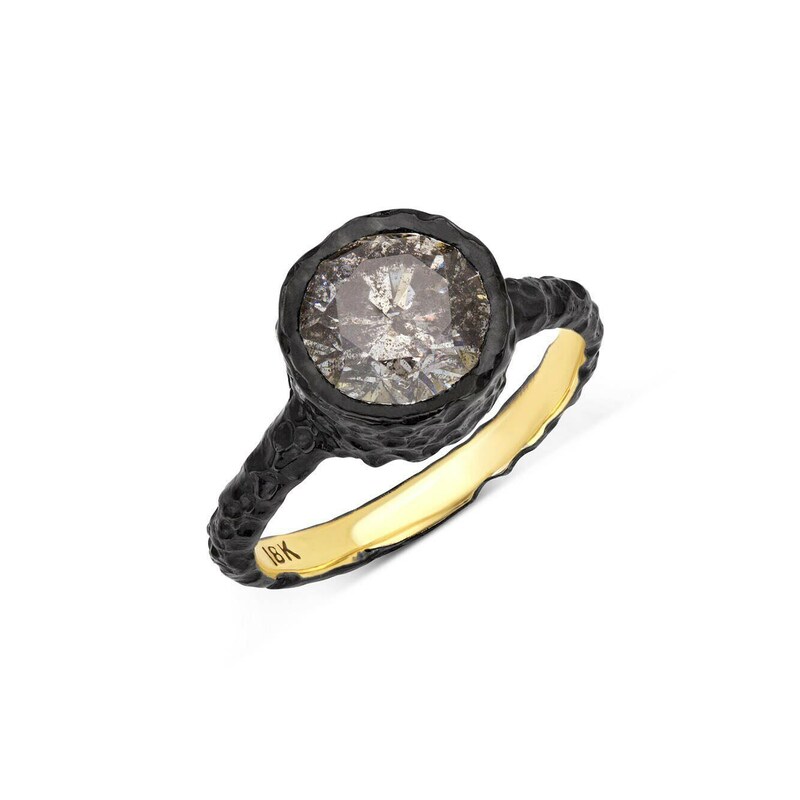 The diamond is bezel set into a solid 18k yellow gold hammered setting with black rhodium finish. Diamond Clarity is I. The bezel measures 10mm. This is a handmade ring. Made in USA. 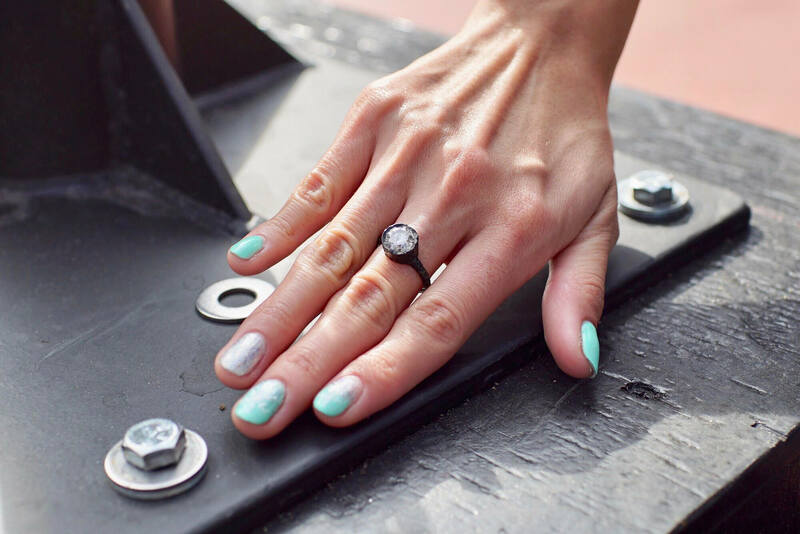 Ring is currently a size 7 and can be resized.